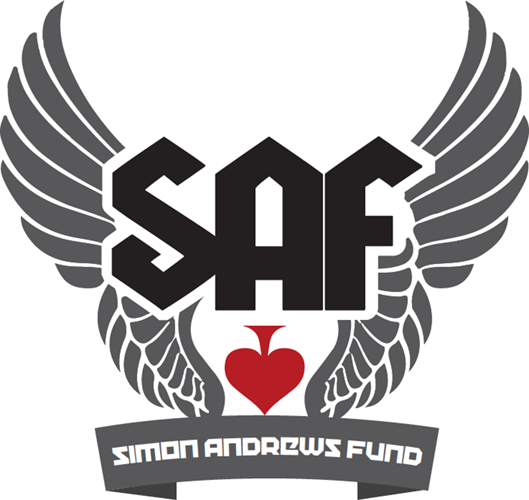 Signed t-shirt raises £370 for the fund! Dee & Claire will make sure that the money is put to good work getting injured riders back on the Track & Roads. Huge thank you to everyone who bid and to the winner Mark Huckerby for his very generous final bid. Thank you to Mark Walls for running the auction. 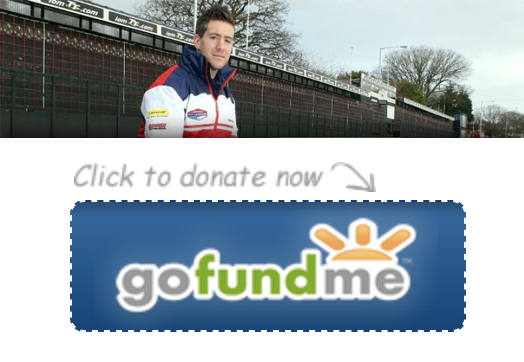 Big thanks to Bruce, Simon & Dan from the official TT team for all their support and promotion of the auction. Thank you to Promenade Shirts for producing the T-Shirt, Shoey for allowing me to use the Unstoppable logo, Bryn for designing the image used on the front of the shirt & all the boys in Kodiak Jack for their support. 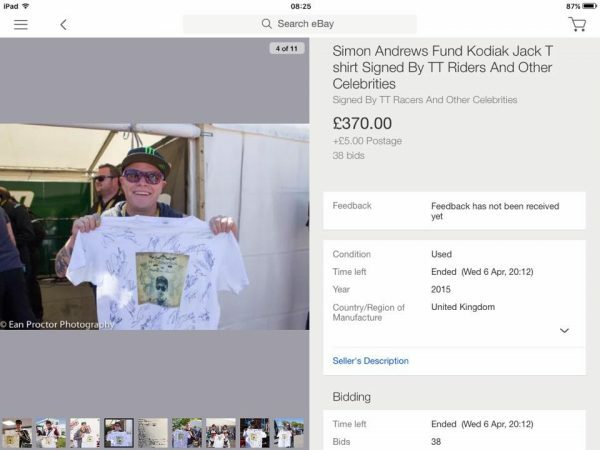 …..and of course all the riders and celebs who were pestered by me during TT who kindly signed the T-Shirt and made it possible to raise such a great amount for the fund.